I have an obsession with lightsabers and an insatiable appitite for making and tinkering in general so joined up to share some of my creations and shenanigans and to garner ideas and inspiration for future projects. I made the choice to use metals as my primary material last year and that has inevitably led me into the world of machining. 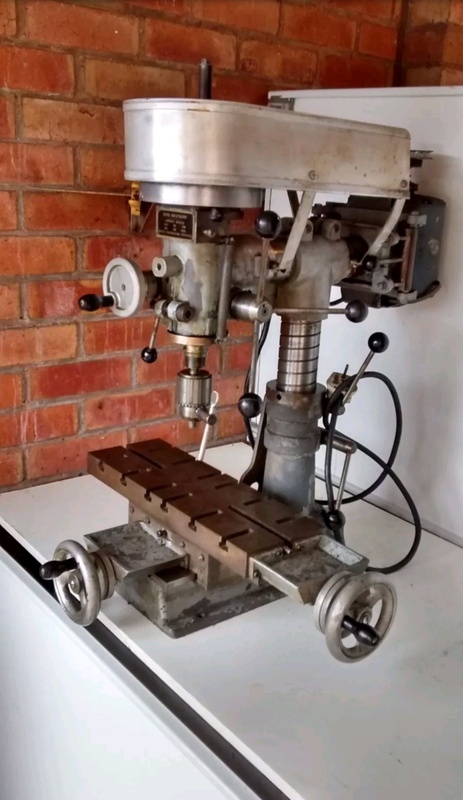 I now own a 1940s Grayson lathe and Dore Westbury Mk1 milling machine, which I've been giving some much needed TLC to bring them to working condition and going a little beyond. Not an easy route into the game I know but I've been lucky to not have encountered anything I can't do, or learn to do myself and everything is running sweetly now (more on the machines and subsequent modifications later). I'm just outside Ludlow, down towards Tenbury. If ever you tip up in that neck of the woods drop a message in here and we'll have a natter and a cuppa. Cool, I'm just past Shrewsbury towards Oswestry, I will definitely take you up your kind offer, I don't have anyone to talk shop with around my neck of the woods. Lightsabers!! Awesome, please show us what you have done. Welcome to Madmodder, you have equipped yourself with two nice looking machines, they should enable you to construct most things. We look forward to seeing the results of you current projects in the near future. Hope you enjoy the banter. Cool project with the sabres! I’m just off to integrate the latest “savings” on tools from the Harrogate wood show !